Tall wood buildings are capturing the imagination of architects, engineers and developers, who see them as a way to lessen the carbon footprint of the built environment while demonstrating ingenuity and meeting the same standards for safety and performance as any building type. Heightened awareness of the environmental benefits of wood, combined with advances in wood technology and manufacturing have aligned to make tall wood buildings not only possible but safe and cost effective. 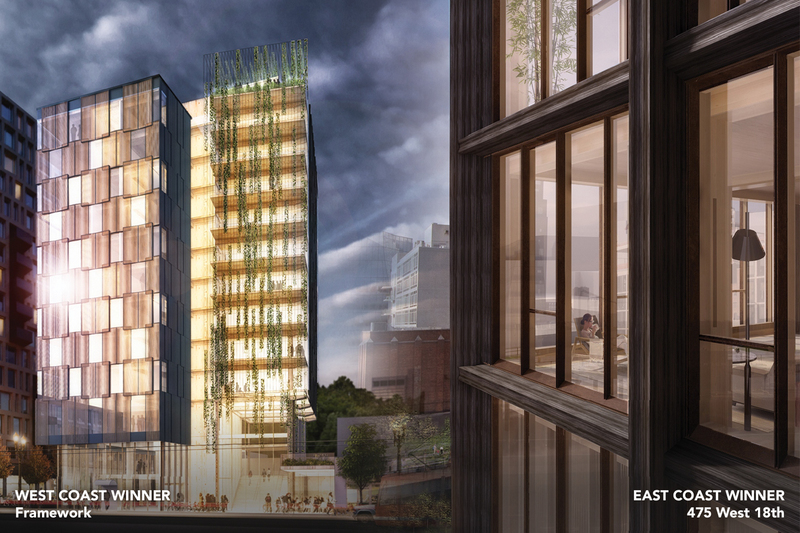 With emerging timber construction technologies and significant trends in urbanization anticipated in the next half century, many architects are exploring the latest innovations in wood technology for their building projects. One of these architects, Alan Organschi, design principal and partner at Gray Organschi Architecture believes that ‘wood is poised to become the new high-performance structural building material. Breakthroughs in timber manufacturing – fiber optimization, glue lamination, and mass timber structural design – will direct the material drawn from our forests to high-rise, high-density urban construction.’ Mr. Organschi explores the use of new wood technologies in mid-rise, high-density housing and infrastructure through his ongoing research project, Timber City and this year served as a member of the USDA Tall Wood Building Prize Competition design and evaluation team.